Professor Gavin Barrett is Jean Monnet Professor of European Constitutional and Economic Law and Associate Professor in UCD Sutherland School of Law. He graduated with an LL.B.from the Law School, Trinity College Dublin in 1988, having been made a Scholar of the College two years earlier in 1986. He completed his Ph.D. studies in 1994 with a dissertation on employment rights under Irish and European law in business restructuring situations. He graduated from King’s Inns and was called to the Bar in 1997. Having tutored in Trinity College during his studies there, Professor Barrett was, from 1995, a research officer and then project leader of the Justice and Home Affairs Group in the Institute of European Affairs Dublin. From 1997 to the end of 1998, he worked as a course director with the Academy of European Law in Trier in Germany. He was appointed to a lectureship in University College Dublin in 1999, promoted to senior lecturer in 2004 and made an Associate Professor in 2014. He was awarded a Jean Monnet Chair in European Constitutional and Economic Law in the same year. Professor Barrett has been, successively, a Government of Ireland Research Fellow, a University College Dublin President’s Research Fellow and an Oireachtas Parliamentary Research Fellow. He has also been a visiting professor in the University of Aix-en-Provence, a visiting professor at the University of Ljubljana, a visiting lecturer in the University of Hannover and a visiting scholar at the Institut des Hautes Etudes Européennes (Université Robert Schuman). He has acted as external examiner to the Law Faculties of Trinity College Dublin and the University of Malta. Professor Barrett specialises in European law, with a particular interest in the employment law and constitutional law fields. He also has a strong interest in employment law. He is the author of two books including one monograph published by the Oireachtas, the editor of several books, the author of numerous book chapters and of articles in a wide range of journals including the Common Market Law Review, the European Law Review (including one article cited by the German Federal Supreme Court in its famous Lisbon ruling), the Yearbook of European Law, the European Law Journal, the European Constitutional Law Review, the Maastricht Journal of European and Comparative Law, the Industrial Law Journal, the Irish Jurist, the Dublin University Law Journal and the Irish Law Times. He has also published around seventy articles on legal themes in newspapers and periodicals including Newsweek, the Irish Times and the Sunday Business Post, and appeared on television and/or radio in Ireland, France, the United Kingdom, Finland, Denmark and Slovenia. He has been an invited speaker before the (UK) House of Lords Select Committee on European Affairs (twice), the Foreign and European Affairs Committee of the Maltese Parliament (the Kamra tad-Deputati), the Joint Oireachtas Committee on European [Union] Affairs (five times), the Oireachtas Sub-Committee on Ireland’s Future in the European Union (three times), the Joint Oireachtas Committee on Justice, Defence and Equality (twice), the Joint Oireachtas Committee on the Constitution, the Oireachtas Sub-Committee on Review of the Role of the Oireachtas in European Affairs and the Oireachtas Sub-Committee on the Referendum on the Fiscal Treaty. He has also addressed the Joint Oireachtas Committee of Inquiry into the Banking Crisis, spoken in the Grand National Assembly in Ankara, Turkey, addressed the Constitutional Affairs Committee of the European Parliament and briefed the European Affairs Committees of the Danish Parliament (Folketing) and the German Bundestag as well as the Finance Committee of the Bundestag. He also addressed by invitation the National Forum on Europe. Professor Barrett is a board member of the Dublin University Law Journal, articles sub-editor of ERA Forum, a referee for the European Law Journal, the European Constitutional Law Review, the Hibernian Law Review and Parliamentary Affairs, and was a staff editor of the University College Dublin Law Review for twelve years, a journal which he played a key role in founding. He is a member of the Irish Centre for European Law, a Council member of the Institute of International and European Affairs and member of the Economic Governance Group, the Eurocrisis Group and the Ireland in Europe Group and a Fellow of the Dublin European Institute. He has been variously Irish rapporteur for the Fédération Internationale de Droit Éuropéen, the author of commissioned research for the National Forum on Europe, director of a research project concerning the role of national parliaments in the EU legislative order (funded by both the Irish Research Council for Humanities and Social Sciences and the Department of Foreign Affairs), the Irish expert in major European-wide study of the implementation of Community employment law directives, the author of research on the employment rights of people with disabilities and the co-author of a major report on the implications of the June 2008 ‘no’ vote to the Lisbon Treaty which was commissioned by the Joint Oireachtas Sub-Committee on Ireland’s Future in the European Union. He is currently involved in two international research projects investigating the roles of national parliaments in the European Union, one examining the absorption of EU law into national constitutional systems and one looking at national adjustments to EMU membership. Professor Barrett’s views have been cited by the House of Lords EU Affairs Committee, Oireachtas Committees and his work cited by the German Bundesverfassungsgericht in its famous Lisbon judgment. 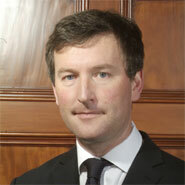 Professor Barrett has lectured in the law of the European Union at undergraduate level since 1999. At LL.M. level, he has lectured in a variety of subjects including European Union Constitutional Law, Litigation in the European Union, the Social and Employment Law of the European Union, Eurozone Law and the Internal Market law of the European Union, He has also taught on the Law School’s Diploma in Employment Law, in the Dublin European Institute and for the Law Society of Ireland.